If you are planning to start online education, don’t make your decision without doing your research. First brainstorm about why you wish to go for a particular program. Will it help you have your dream career? Are you going for a career because of its good job prospects or you would really love to work in that field? You can also take a career test to find out the field that suits you best. Once you have decided about a career that suits you in multiple ways, selecting a related degree program will become a lot easier. After having a made an informed decision about your career, the next step is to look for accredited online programs. Accreditation is crucial when acquiring quality education. With accreditation, you can be confident about the quality of education and methods of instruction. Besides employers prefer graduates from accredited programs, as they usually link quality of education to a successful and prosperous career. Once you have a list of accredited online programs, shortlist the programs further by going through different curriculums, and find out which curriculum suits you best. When you have narrowed down your list of programs by looking for the relevant curriculum, you can search about the qualifications of your instructors. Find out if they are trained and experienced enough to provide effective online education. Since the learning resources and methods used in online education are different, it is always preferable to look for instructors who have experience in online education. Word-of-mouth or feedback from students taking online classes should not be ignored or underestimated. The students presently studying in the online programs can give you detailed information and very specific feedback. Students will give you a better idea about feedback of different programs, overall repute of the school, and the worth of its degree in the job market. Affordability is also a factor that you cannot overlook. Make sure that the list of online programs you are considering are also cost effective and affordable. Once you have shortlisted a handful of quality online programs, it will be easier for you to find out about their costs. 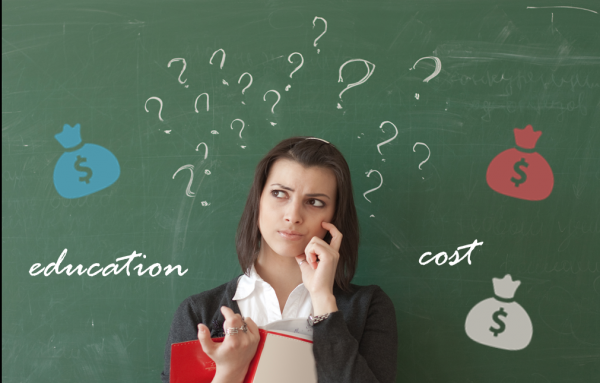 Although cost is not the only factor you need to consider, it can help you finalize your decision. Before you decide to enroll in a program, it’s good that you take some trial lessons to see if it’s working for you. Trial lessons can give you an idea about how online programs work, and if the learning resources are effective for you. You can reduce your risk by taking trial lessons and finding out about online programs before committing. The final step is to enroll yourself in online program. However, the story doesn’t end here. In fact to be fully successful in your online program, you will need to plan, focus, and be consistent. Once you have planned how you will go about it, stay consistent in your efforts, and learn with full focus. If you are disciplined and determined, there is a pretty good chance of you succeeding. Why look for a calculator or do long calculations on a page to find out your GPA? Don’t sweat the small stuff and go for GPA-mE! This app makes calculating GPA a lot easier. Just input all the details and you have your result right there. It also helps you organize your grades while you continue to take on more courses. CourseSmart can turn out to be your favorite e-textbook reader on phone. Now, you don’t need to own a Kindle or an I Pad to read your e-textbooks. This app is not just any e-textbook reader. It helps you search words and phrases in the book, take notes, and find study tools. No more backpacks, Kindles, or iPads needed now. Flashcards are great to make your study session interesting and efficient. But it’s quite a hassle to make flashcards on paper, and it’s not environmentally friendly as well. Now you have an app that not only makes flashcards on your phone but also estimates your progress with study statistics. Get this app to become one smart student and make your parents proud. Think of this app as an elder and wiser brother of Google. It helps you search almost anything and gives very precise and comprehensive information. This handy app is what you need if search engines baffle you and you seem to get lost while on the first page. If you ask on Wolfram Alpha “What is the salary of nurses?” it will give you a correct number instantly and also give you the related sources. Do you often come across great sources while conducting your research but never seem to know where they go? Try InstaPaper. It lets you save sources, so that you can access them anytime and anywhere. Now your research efforts will translate into grades and not in a waste of time. Would you like to be more organized? Who wouldn’t. If you can’t recall a deadline or the assignment you had to submit this week, Astrid comes to your aid. With to-do lists, reminders, and organized collaboration, it is one useful app. Just keep updating your Astrid and you won’t need a special effort to stay organized. Do you learn new things easily when there’s a video available? Then, Howcast is just right for you. Learn here what interests you because this app gives you a treasure chest of detailed step-by-step instructional videos. You can find information on many educational topics, meaning students will likely find some interesting information here. You can use the best out of these apps to gain knowledge on the go through your mobile devices. Do let us know if you have any more apps that you think can help you for your online education. A recent report of the College Board, “Education Pays, 2013: The benefits of higher education for individuals and society,” makes it clear that higher education can do wonders for both individuals and the society in general. Findings from this study include some obvious benefits like employment and earning potential. It also states that those who graduate from college lead much healthier and prosperous lives. With a college education, your chances of pursuing a challenging career increases. A college degree can add to job security and result in salary increments. Students might not be able to earn much during college and as a result debt may accumulate. But in the long run, college education can offer a number of monetary benefits. After graduation, individuals have their entire lives to earn till they retire. If you are looking to switch jobs, your high school diploma might not be enough. Many employers now require a college education. When changing jobs, you will at least need an associate’s degree to be competitive in the job market. If you feel you are working in a dead-end job and see no hope of ever getting out, higher education can help. 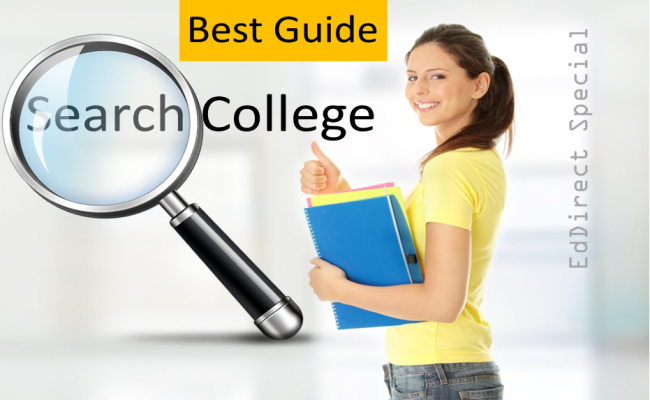 You can also find colleges that will consider your work experience and will assign credit hours. Now the question would be how to take time out for higher education. Online programs and education can help in this regard. 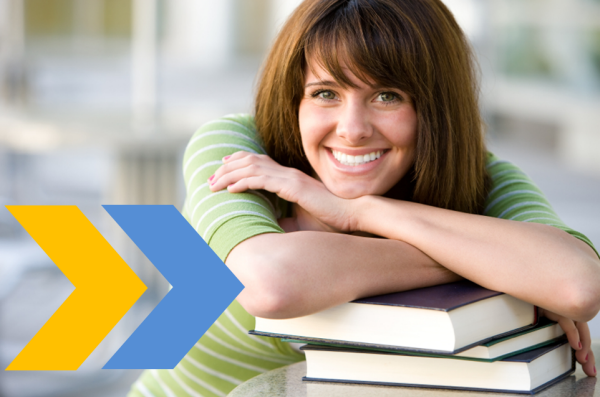 With online programs you can study at your own pace and also follow your preferred schedule. There is no elevator to success; you need to take the stairs. Lack of education might be the reason your manager is not considering you for that promotion. If you have the right skills and dedication to climb the career ladder, but still feel that lack of education is holding you back, it’s about time you did something about it. Don’t make any excuses and start working towards a degree. Most organizations recognize an employee’s higher education and some even have tuition reimbursement plans to support them. Higher education is not all about jobs and promotions. It’s also a great way of grooming and adding a new skill set to your resume. Higher education can bring many positive changes to your personal life. It can bring a new outlook that you might have been missing. With learning, you experience personal growth and higher education is a great way to pursue your passion and make your life more meaningful. No matter what your purpose is for higher education, there are always benefits of pursuing an advanced degree. It never goes to waste. Higher education can be worth the effort, money, and time. It can take you further than a high school diploma, and you can always feel proud of your achievement when you get that promotion. Greatness doesn’t come easy, it requires determination and perseverance. It also requires tough labor in Robben Island and being jailed for more than 27 years. Nelson Mandela or ’Madiba’ is a real life super-hero who has inspired millions and will continue to do so for future generations. This man was able to change the world not only because he was determined, but he had his facts right. He had his education to back his vision. Nowadays, there is absolutely no excuse for you to stay uneducated or uninformed. Go for online programs if you can’t take out time for on-campus ones. Live your dreams! As a student, you are likely to face disappointments, lose motivation, and even fail. But don’t make your failure permanent. 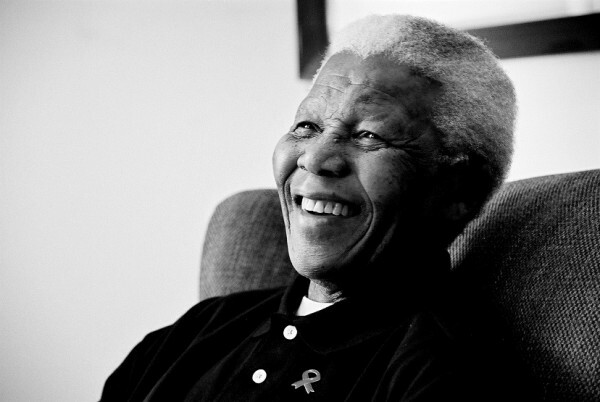 If you imagine the strength of Mandela’s resolve, you wouldn’t ever want to give up! Everyone knew that Mandela possessed this combination – a good head, heart, and the knowledge to use his tongue and pen wisely. If you feel that you possess this combination, be determined to get the latter as well. Learn to use your tongue and pen. With your good intentions, education can only work wonders. Don’t be a hater! Don’t just avoid hating humans but also inanimate objects like your education courses. Hating only consumes you, even if it’s just that math class you hate. Let go of the bitter feelings, and replace love and wisdom to deal with what bothers you. Playing safe will get you across the road but not over that mountain. Mediocrity can become your biggest regret. Reach out to your dreams and have the belief that you’ll realize your vision. Work hard, stay determined, and do not bow down to circumstances. Have a clear vision and no hurdle will ever dampen your spirits. Learn from this man’s experience, and never ever work below your potential. A life of courage, education, and determination is a meaningful life. Sounds idealistic? You have witnessed a man who has been a living example and inspiration for all those pessimists out there. In the end always remember, never make small plans, they don’t have the magic to stir men’s blood.